Doesn’t it just make you cringe when you see a subject line about a guest post? No, don’t get me wrong. I love guest posts. 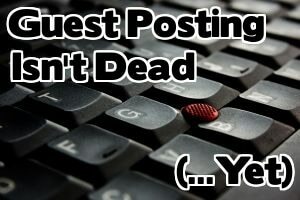 The world of guest posting might be changing, but here on the NMX blog, we’re guest-post-friendly! But the problem is that 9 out of 10 people who send me queries about guests posts are unoriginal and off target. What can I expect from a guest post if you can’t even write a 100-word email properly? I do try to reply to everyone, even these poorly-written emails, but there are only so many hours in a day. So, if I don’t reply to your guest post query, it probably included one of the following phrases and made me wrinkle my nose. If you’re not the person who will be creating the guest post, I probably don’t want to talk to you. I want to talk to your writer. Now, occasionally, I do work with agencies and others who relay information to a writer…but most of the time, people who email me regarding what their writers will do submit horrible posts from a team of “writers” (I hesitate to even call them that) who clearly do not have a grasp on the English language. Listen. I’m a busy gal. I try my best to respond to all guest post queries in a week. If I don’t respond to you, by all means, follow up with me, and note that if you don’t hear from me you’ll be pursuing other opportunities with the proposed guest post. But giving me a deadline in your initial email when you have no idea what my schedule about is just rude. I almost certainly won’t reply if you make a demand like that. It just tells me that working with you will be too stressful, and I hate stress. Usually both. If you’re pitching me on a guest post, PITCH ME on a guest post. Don’t half-hearted ask if you can write something for me and then expect me to tell you what you are capable of writing. First of all, they are blog posts, not articles. Second of all, if you have to say something is high-quality and well-researched, it usually isn’t. The vast majority of the emails I get regarding guest posts include this phrase (or something very similar) and it is always a red flag for me. The name Danny Iny is everywhere online, though you might not know him from his own company, Firepole Marketing. Or, at least, that might not be where you’ve first heard his name. Danny’s traffic has grown dramatically in part through guest posting. In fact, in 2011 alone, he published over 80 guest posts. Like any tactic, guest posting isn’t going to take you, as Danny puts it, “from zero to retirement.” However, if you’re just starting out, you’re probably not getting a ton of traffic to your own site. If you go where eyeballs are, you can start to find your audience. But how do you get your guest posts featured on popular blogs? In this video Think Traffic’s Corbett Barr, Danny talks about the art of guest posting — what works, what doesn’t work, and the benefits you can expect from guest posting. Check it out! Have you published guest posts? Leave a comment with your best tip! What has worked for you — and what hasn’t worked? Brilliant Bloggers is a bi-weekly series here at NMX where we look at the best posts from around the web all surrounding a specific topic. Every other week, we’ll feature three of the most brilliant bloggers out there, along with a huge list of more resources where you can learn about the topic. You can see more Brilliant Blogger posts or learn how to submit your link for an upcoming edition here. Guests posts can be part of your strategy to build your audience and get links pointing back to your blog. However, it isn’t as easy as just penning a post and sending it off to your favorite blogger for posting if you want to reap the most benefits from guest posting. Here on the NMX blog, we wrote a five-part series about guest posts, which starts here, but today’s Brilliant Bloggers is all about guest posts – and we have tons of links to other resources about guest posting. In this post, Greg Ciotti talks to three guest posting experts: Danny Iny, Onibalusi Bamidele, and Georgina Laidlaw. You might be familiar with both Danny’s and Onibalusi’s names, as these guys have written hundreds of guests posts. Georgina gives a third perspective as the keeper of the schedule at Problogger.net, which features several guest posters every week. So, before you start doing this yourself, see what these experts in the field have to say about the art of guest posting. After checking out the post, you can follow Greg on Twitter at @GregoryCiotti. 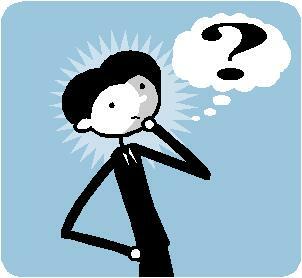 Did I miss your post or a post by someone you know about guest blogging? Unintentional! Help me out by leaving a comment below with the link. Guest posting is a technique some bloggers use to increase their traffic. Today, as part of the Beginner’s Guide series I’m writing here on the BlogWorld blog, I thought I’d take some time to talk about what guest posts are, why you should or shouldn’t write and accept them, how to be a guest poster, and other information you need to know about guest posts! A guest post is a post you publish on someone else’s blog. 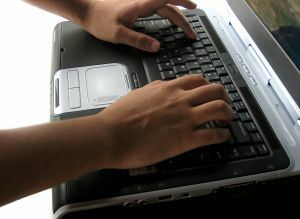 Most blogs do not pay guest posters, but it depends on the blogger. Guest posters typically write about a topic that has a relation to your their blog, but that also fits with the other blogger’s niche as well. For example, if you blog about getting out of debt, you might guest post on a food blog about budget meal planning. You can also guest post on “competing” blogs – blogs that are in the same niche as your own. Before or after the content of the guest post, the blogger will post a one or two sentence bio, where you can link back to your own blog. 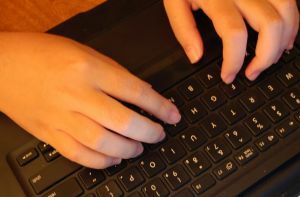 Some bloggers will also add a paragraph or two of their own, usually at the beginning, telling their readers that this is a guest post and explaining why it is an important topic. When you guest post, you have access to new readers to share you opinions or knowledge, since the blog in question already has its own fans. The hope is that they’ll like what you write so much that they click on the link in your bio to read more of what you’ve written on your own blog and, hopefully, become regular readers there too. Allison writes about blogging and social media on the BlogWorld blog. Allison writes about how to blog for BlogWorld’s blog. The first will help me rank better if someone searches “BlogWorld blog” while the second will help me rank better is someone searches for “how to blog” – make sure to do a little keyword research when considering your options so you get the most benefit from your link. A third advantage to guest posts is name recognition. Even if people don’t click through to read your own blog, if they start seeing your name pop up on lots of other blogs in the niche, they’ll start to remember it. Eventually, they may look you up. The name recognition also helps you get accepted as a speaker for events like BlogWorld, as well as get offers for not just speaking gigs, but also other types of jobs, like consulting and contributing – and these are paying positions in many cases. Of course, it should be noted that some blogs will pay for guest posts. The down side to guest posting in these blogs is it is harder to be a guest poster because they usually have very specific requirements and accept a very limited number of guest posts per month. Guest Posting – A Little Overrated? Although the advantages of guest posts haven’t be overstated in the above section, keep in mind that writing a guest post – even for an extremely popular blog – is not going to lead to a million new readers on your own blog. Even if your guest post is beyond awesome, readers on other sites as not super likely to click bio links. They’re more likely to click on links within the post itself, but these links are generally discouraged in guest posts unless they are SUPER relevant to whatever you’re writing about. A few months ago, I wrote a post on my personal blog called “I’m Calling BS on Guest Posts” that I highly recommend you check out before spending lots of time seeking out opportunities and writing posts you could instead use on your own blog. Yes, there are advantages, but don’t believe guest posting is the best use of your time if you’re looking for a huge amount of new readers. Even the spike you get initially will be just that – a spike, rather than long-term traffic. So, do guest posts…but understand the advantages first! And if you have additional questions about writing and placing guest posts, just leave them as a comment and I’ll be happy to answer them! Guest posts can keep your blog active when you need time off. When you publish someone’s guest post, you build a relationship with them. Guest posts bring search engine users looking for posts about that topic to your site. You can publish guest posts about topics in your niche that you don’t know much about, which adds value to your blog for regular readers. The guest poster will likely promote their post on social media sites, so you’ll get traffic from their connections. Since it’s on your blog, you’re liable for what a guest poster writes. Advertising that you accept guest posts (or even publishing guest posts) will open your inbox to an influx of post offers. Some of them will be amazing. Most of them will be complete crap. Publishing tons of guest posts waters down your brand. Experienced bloggers can get away with it somewhat, since people already know them (though I’m still not a fan of tons of guest posts personally). If you’re a new blogger, posting more guest posts than you write yourself can be really confusing to readers. Guest posts might be optimized for search engines using terms that you want to rank for with other posts. You don’t want people searching for something to find a guest post before they find your own post. You’ll be linked to that person, which could be problematic if they’re involved with any kind of scandal or drama in the future. If you are going to accept guest posts, I recommend having a page on your blog where you can list any requirements you have (beyond “high quality” of course) and tell people how to contact you. Make sure you review submissions carefully before agreeing to publish anything. You want to post only the best on your blog! A final note: If you’re interested in publishing a guest post here on the BlogWorld blog, shoot an email to me at allison@blogworldexpo.com with your idea and I’ll make sure your information gets passed on to the right person! Over the past week or so, we’ve been talking about guest posting. We’ve gone over writing the post, linking within the post, and pitching your ideas to other bloggers – but the work doesn’t end there. Many guest posters make the mistake of moving on to the next guest posting opportunity right away, but if you want the most bang for your buck, it pays to take some time to do a little work after the post is live. As soon as your post is live, please take a moment to promote it to your network. I get it; the reason you do guest posts is to find new fans, but taking the time to promote it yourself is a “thank you” to the blogger to posted it. I like to promote the guest post at least three times – once right when it is posted, once later in the day when different time zones are awake, and once a few days later. The added benefit is that your peripheral friends might be really crazy fans of the blog that posted your guest post. If they see you mention it, you create a common bond. Hey, you wrote a post for the BlogWorld blog? I love the BlogWorld blog! We have something in common! Let me make an effort to get to know you and check out your home blog as well! Some people announce on their own blogs when they’ve done a guest post. That’s really up to you, and in my opinion, it should depend on your post rate. For example, I only post one long-ish post per week on After Graduation (maybe two if I’m feeling fiesty), so it doesn’t really work well to have every other post be a guest post announcement. If you post several times every day, mentioning a guest post spot might make more sense. What I do recommend having, in any case, is some kind of “As Seen On” page or list of links on your sidebar. When people who are new to your blog are checking you out and determining whether or not to be subscribers (or even advertisers), seeing that some of the bloggers they already know and trust have featured in you increases the likelihood that they’ll be back. In a non-terminator kind of way. One thing that really annoys me as a commenter is when I leave a comment that asks a question and no one responds. I’m of the mindset that bloggers don’t have to respond to every comment, but if you write a guest post and there’s a comment that demands a response, please do so. On guest posts, I actually recommend trying to respond to as many comments as possible, even if you aren’t that response-happy on a new blog. You’re new to the party, and people are introducing themselves. Say hello. I will say that after some time (about a week in my opinion), the responsibility to respond to guest post comments isn’t really on your shoulders anymore. You don’t get notifications as to when they’re received, so at that point, I think it’s the responsibility of the home blogger to either respond or to email you that you should think about responding. Don’t worry about wasting oodles of time checking every single guest post every single day! Congratulations! You now have a working relationship with the blogger. Don’t let that connection fizzle out. Make sure you’re mutually following one another on Twitter, friends on Facebook, or otherwise connected via social media and keep the love going. Stop by their blog to comment from time to time, and if your first experience did well, consider pitching another post in the future. Bloggers who post your content have already raised their hand and said they like you. Don’t let the conversation end. Yesterday, I talked a bit about Penning the Perfect Post if you want to start guest posting, but there’s one element I left out – adding links to your post. When it comes to linking, especially when talking about SEO, someone could probably write a whole book on the different linking theories and practices. I’ll just tell you what works for me – and if you write guest posts, add a comment at the end to tell us all what works for you! Before I get into the meat of this post, let me first go over a few SEO basics for beginners out there. When you include a link in your guest post (or in your posts in general), it is important to pay attention to the words you actually link. These are your keywords, and they should be the words you’d imagine someone typing into Google to actually get to whatever page you’re linking. So, for example, say I wanted to promote this post in a guest post I was writing for someone else. I might link using the words “guest post linking” or “using links in your guest post” since those are words people might type into Google that are relevant to my post. Some people spend a lot of time doing keyword research. If you want to do that, great. If not, even being a little mindful of it and using keywords instead of stuff like “click here” or “my blog post,” you’ll be ahead of the game. When you’re writing a post for your own site, you might want to include tons of links back to your own work or to blog posts that you’ve read and enjoyed. When you’re writing guest posts, you have to be a little more discreet. Everyone knows that guest posts are all about promoting your own blog, but if you do too much promotion – even if your links are relevant – you’re going to have a hard time placing the post on another blog. Bloggers agree to post guest posts because they want cool content for their site. Most are happy to give you credit and even some links back to your site, bit too many links starts to get unattractive to them. Remember, every link you include is sending people away from their blog. If a post is full of extremely good information, but includes tons of links, most bloggers won’t accept it. Length: In general, the longer your guest post, the most links you can include. Niche: Some niches are more link-friendly than others. The Proposed Blog: Some bloggers are more link-friendly than others. Almost all guest posts include a bio at the end (or at the beginning – depends on the blogger’s formatting style). Your bio is your chance to shine. You want it to entice people to learn more about you and what you do on your own blog, and from a linking perspective, you can go hog wild. You still don’t want to include a billion links, especially since bios are typically only about two sentences long. Still, it is more than acceptable to include two to three links. Some bloggers who post guest posts actually request that you not include any links within the body of the article, giving you only your bio for linking. I actually recommend at least two links: one for SEO purposes and one that appeals more to actual readers who might want to visit your site. Allison Boyer is a writer for BWE’s blog and the owner of After Graduation, a site for career advice and motivation. She works as a freelance writer and would love to connect with you on Twitter (@allison_boyer). Allison is also working on a super secret blog project, which you can read about here. After Graduation is my site name, but also the keyword that a lot of people use to find the site, so that makes sense. “Freelance writer” is linked for SEO purposes. I want people who are looking for a freelance writer to get to my freelance writing site. The other two links, to my Twitter and to my blog project, are not going to help me with search engines, but they (hopefully) appeal to people reading my content who want to learn more about me. Four links is probably the top I’d include in any kind of guest post bio (these are not exactly the guest posts here at BlogWorld, but it’s the same basic concept). Splitting them evenly between links for SEO and links to entice readers is what works best for me. Okay, that’s my best advice for linking within guest posts. Check out the other posts in this series and give us your best tips in the comments below! I get a lot of questions to my inbox about guest posts. I actually do a lot of guest posting on behalf of a client of mine – I’ve help him build a great blog, and now I’m helping him spread the word through guest posts. Guest posting is a way to get some major traffic to your blog – if you do it correctly. So, I wanted to write a short series here at BlogWorld about guest posting based on the success I’ve had in this area. This post is an introduction to guest posting – but scroll to the end to find other posts on writing, pitching, and promotion. Gaining traffic through readers who enjoyed your post and want to read more from you. Gaining traffic through SEO by linking good keywords back to your site. In my opinion, a good guest post considers both elements. If you write an awesome guest post, but don’t consider SEO at all, you’re missing out on traffic that you could have had without compromising the integrity of the guest post. On the other hand, if you write a crap guest post just for SEO purposes, not only will you have a hard time placing it, but you’re also losing traffic because potential readers won’t click through to your site. If you’re going to the trouble of writing and pitching guest posts, make sure they’re optimized for both types of traffic! There’s a third benefit to guest post that is somewhat hidden and there’s no way to measure the benefits, at least not in terms of traffic numbers. I can tell you from my own experiences that it exists, though! The advantages I’m talking about is name recognition. As you begin to guest post other places, even if people don’t click through to your site, they start to recognize your name. If you want to be an authority in your niche, people have to know your name. Maybe they don’t check out your site after reading this guest post or that guest post…but if your name keeps popping up with blogs they do read, it is only a matter of time before their curiosity gets the best of them and they become a reader. Don’t forget that guest posting, at the very least, puts you on the radar of the blogger who posts your work. Sometimes, this is the best way to make an a-list aware that you exist. They otherwise might not realize that your blog is awesome – but if you propose a guest post that is a good fit, they’ll head to your site to check out your other work. I’ve even gotten jobs this way. People needing writing done in a certain area sometimes peruse the big-name blogs to look for contractors. It’s actually an ingenious strategy for finding up-and-comers to write for your projects.